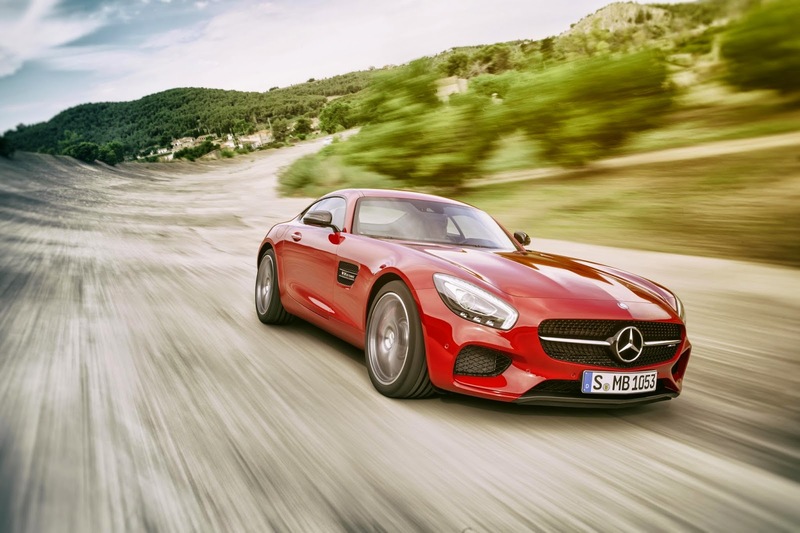 This is the Mercedes-AMG GT, which is smaller and cheaper than the SLS and is pitched against the Porsche 911 and Jaguar F-Type. 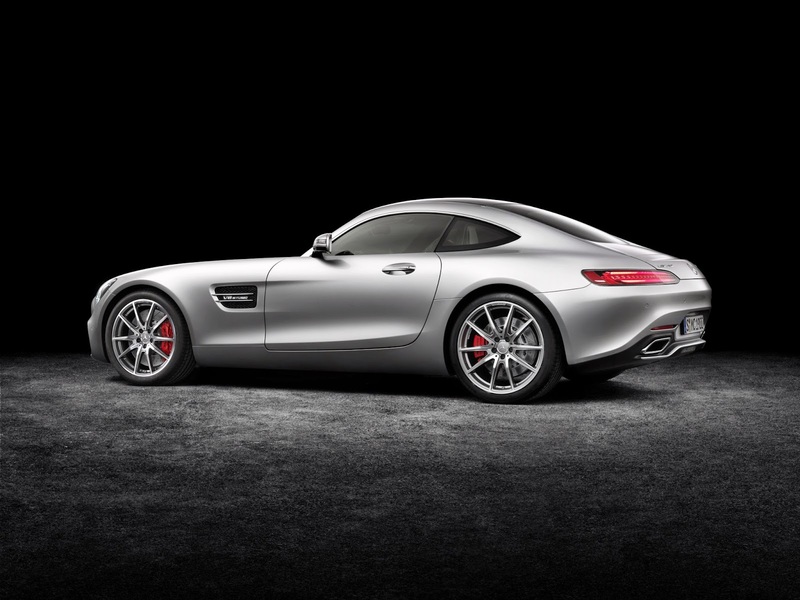 Way to go Mercedes. 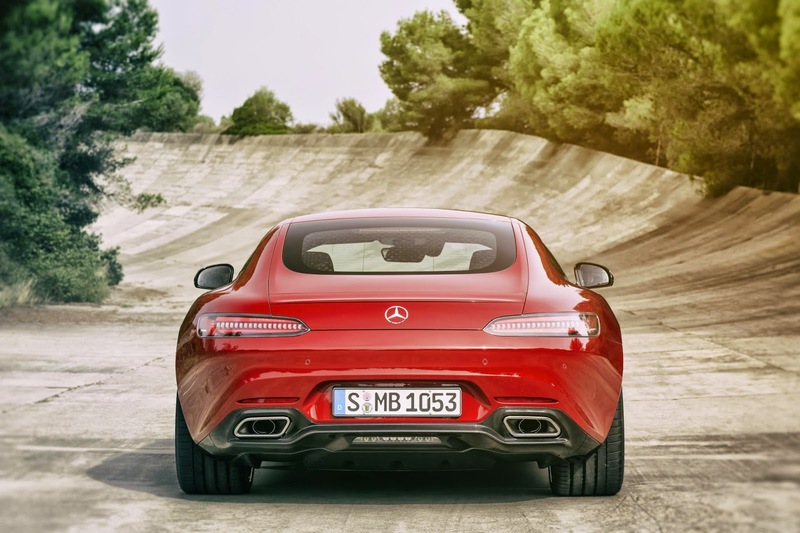 The new curvaceous bodywork certainly splits opinions. 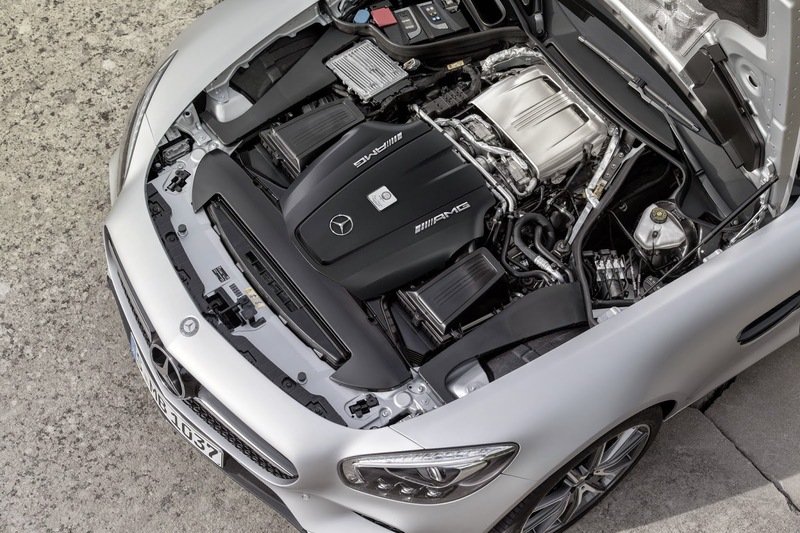 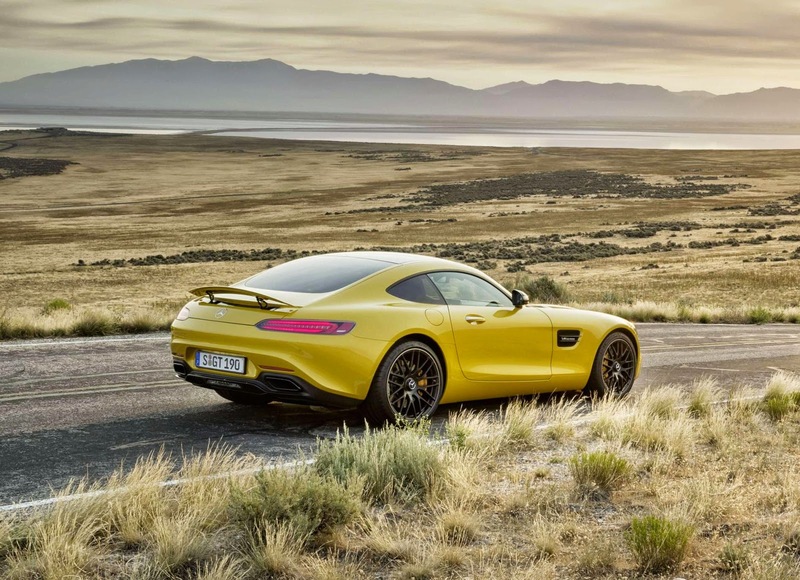 It works on some cars but not so much on others, however on the AMG GT it works a treat. 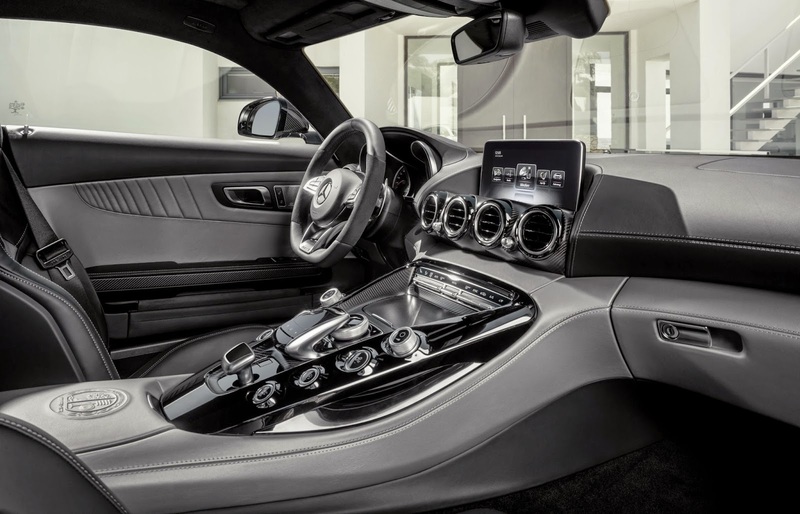 You might have noticed the lack of Benz in the name. 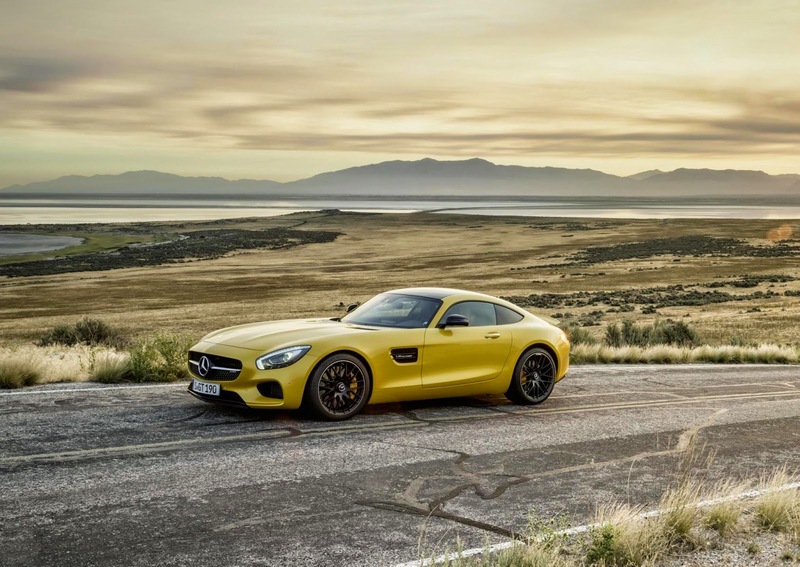 The GT was designed by AMG, the engine will be built by AMG in Affalterbach and the rest of the car in Sindelfingen by Mercedes-Benz. 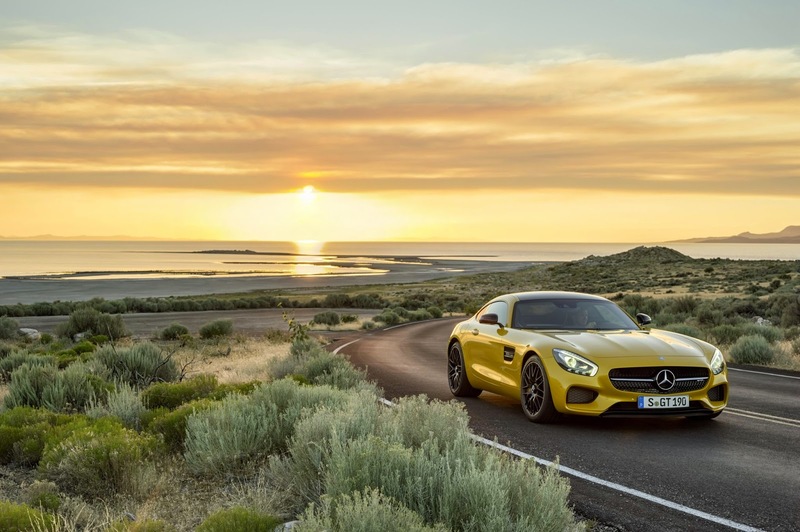 It's a 2-seater sports car that weighs 1540kg and is powered by a 4-litre twin-turbo V8 mated to a 7-speed twin-clutch automatic transmission. 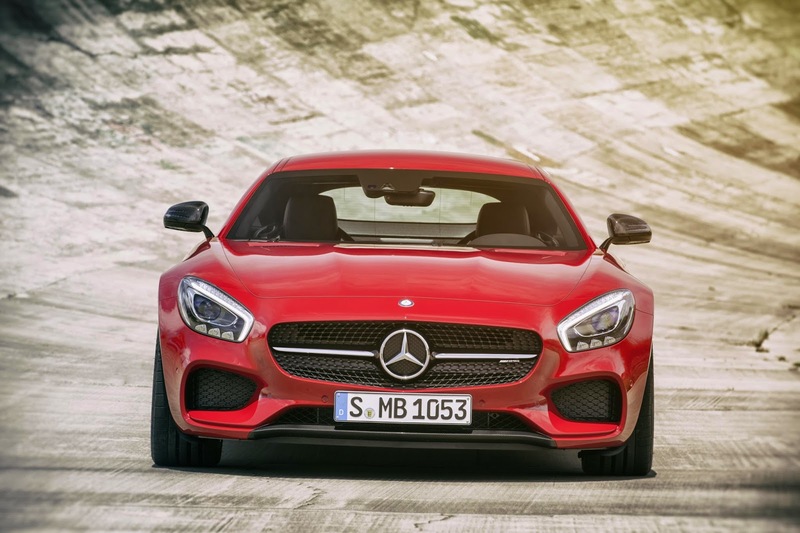 The standard GT model gets 462bhp and 600Nm of torque whilst the GT S has 510bhp and 650Nm. 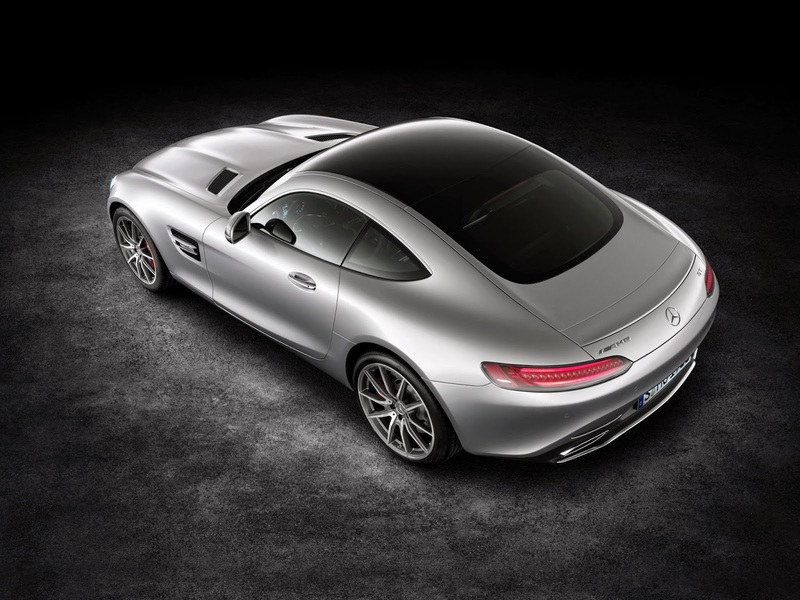 0-60 takes 4 seconds in the GT and 3.8 in the GT S. Top speeds are 189mph and 193bhp. 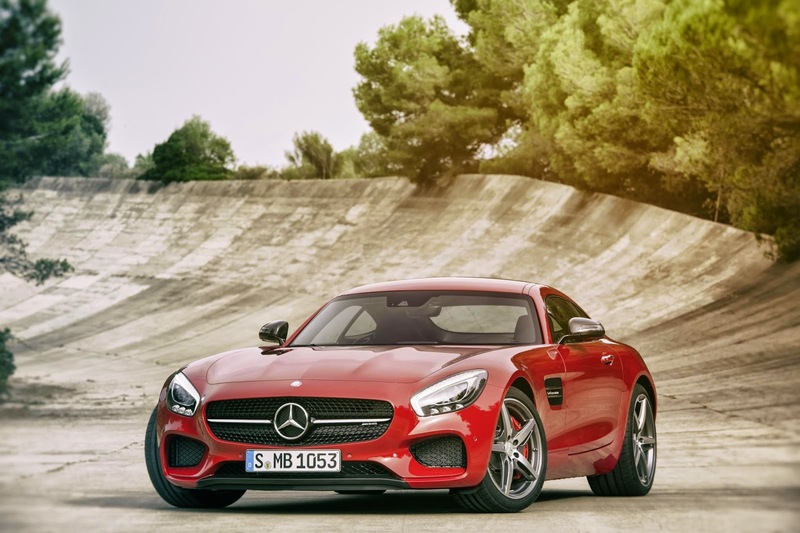 It's rear wheel drive and gets a mechanical limited slip diff in the GT and an electronically controlled version in the S.
Despite that V8 up front weight distribution is 47:53 front to rear. 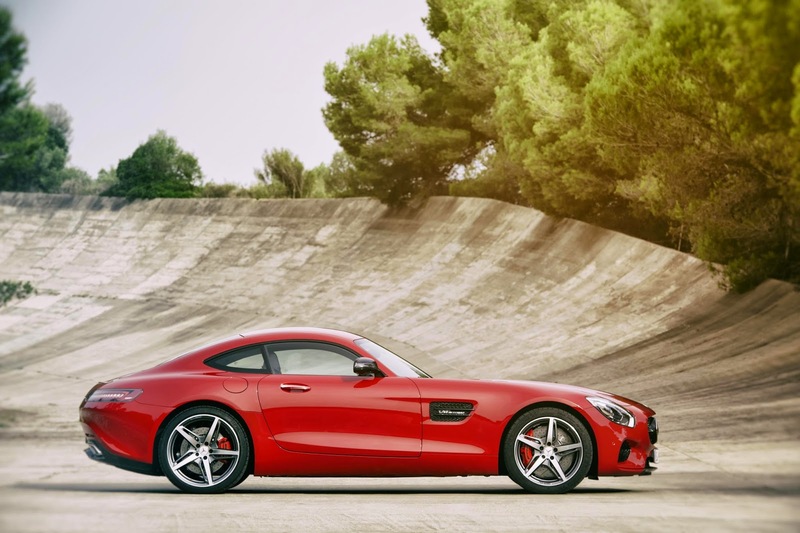 The suspension is double wishbones front and back. 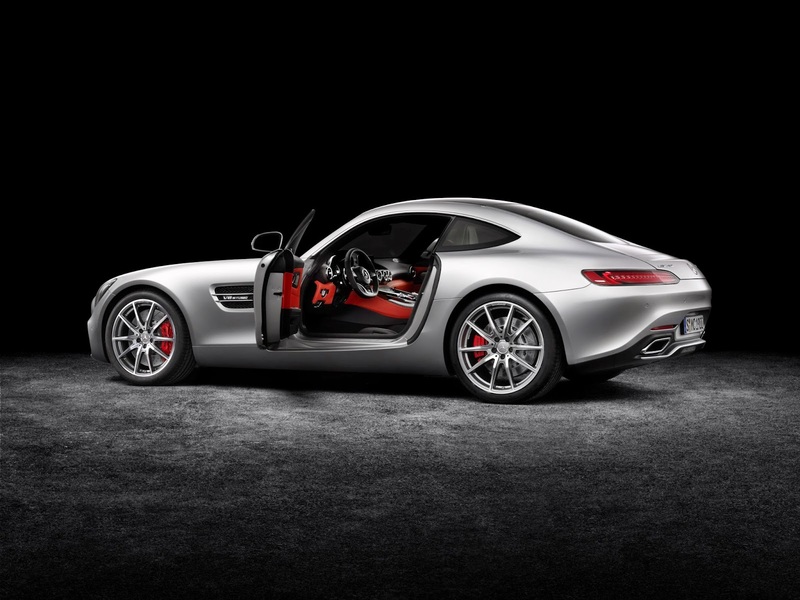 The GT S gets electronically controlled damping whilst it's passive in the GT. 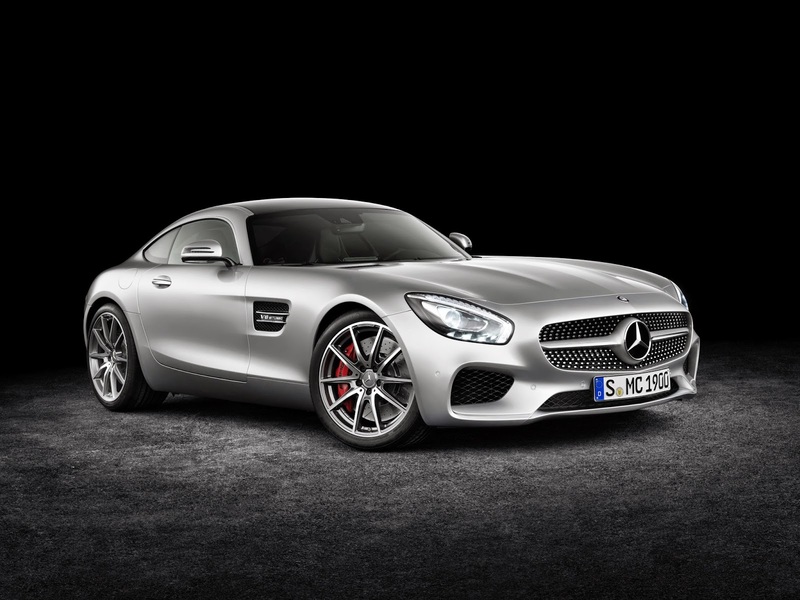 Prices have yet to be officially released but Autocar reports that the GT will cost £95,000 and the GT DS £110,000. 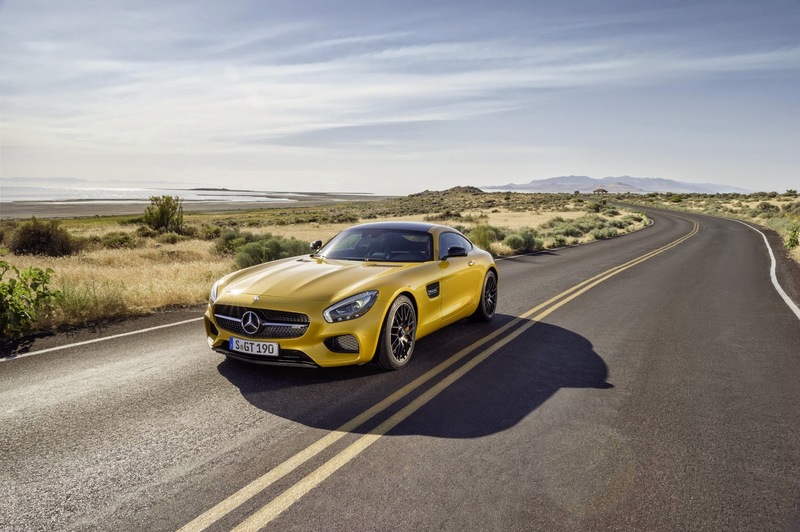 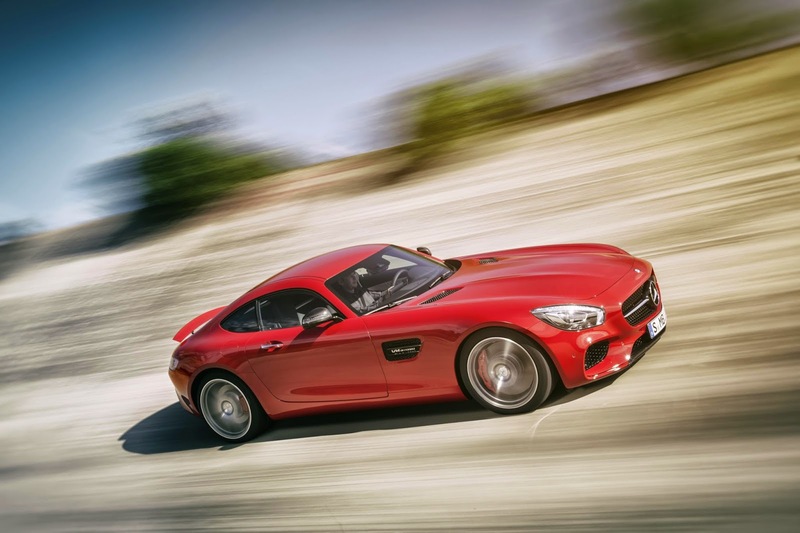 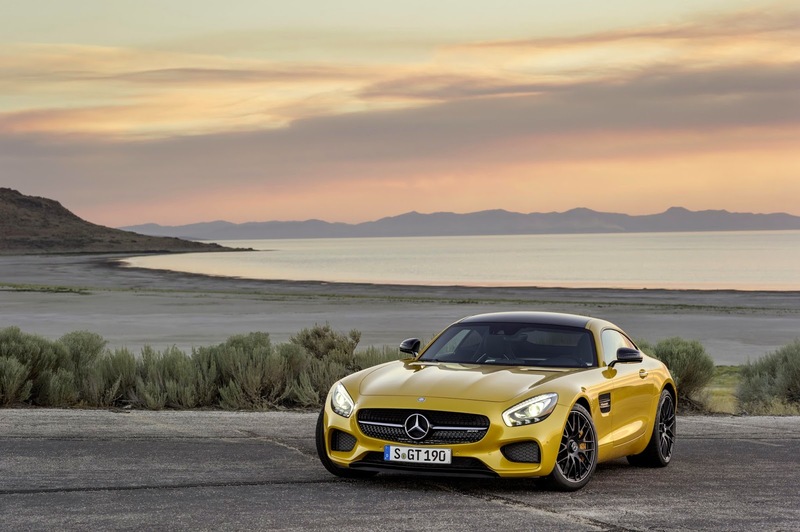 The Mercedes-AMG GT will be available in the UK from April 2015.